Introduction. 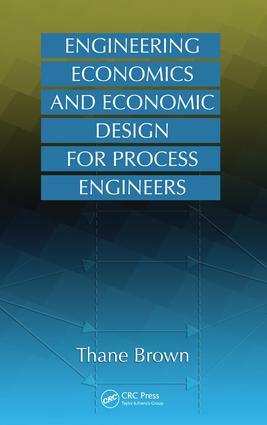 SECTION I: ENGINEERING ECONOMICS. The Economic Side of Engineering. Time Value of Money. Estimating Investments. Estimating Production Cost. Economic Evaluation Methods. SECTION II: ECONOMIC DESIGN. Economic Design: A Model. Defining Objectives. Creating Options: Flow Sheet Development. Creating Options: Creating The List. Option/Alternate Analysis. Economic Design Case Studies. APPENDICES: Definitions. Inflation Indices. Compound Interest Tables. Equipment Pricing Data. Project Phases: Inputs and Outputs.